Water lawns & gardens in the early mornings only. Summer 25 minutes twice weekly. Autumn & Spring 15 minutes twice weekly. Regularly adjust controller. Winter turn off. Fertilise lawns, February, May & November. Use a wetting agent, every November & February. Two times a year, over summer leave mower clipping evenly on lawn, organic matter for microbes. 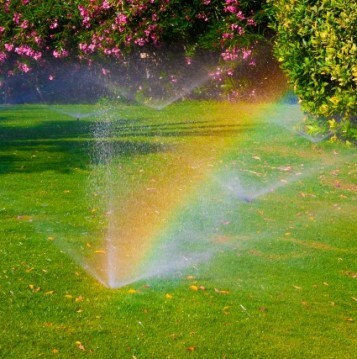 Enjoy your cool lush turf for years to come, made simple, lawns are easy to care, natural green looks & feels incredible.